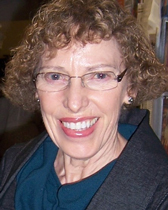 Karen Tranberg Hansen taught in the Department of Anthropology and African Studies at Northwestern University from 1982 to 2012, when she retired. Most of her research as a socio-cultural anthropologist has been conducted in Zambia. Her research interests have focused on the informal economy, domesticity and domestic service, youth, and consumption. She lives permanently in Copenhagen, Denmark, and continues to work and write about issues related to urban life and consumption, especially especially dress and fashion in contemporary Africa. She is particularly interested in the clothing practices and everyday dynamics of dress and fashion performance. Academic year 1997-98, fellowship at the National Humanities Center, North Carolina, with support from the National Endowment for the Humanities. Individual residency fellowship February-March 1998 at the Bellagio Study and Conference Center, Italy, with support from the Rockefeller Foundation. Developing manuscript on the secondhand clothing trade and Zambia. Academic year 2005-06, fellowship at the Woodrow Wilson International Center for Scholars in Washington D.C. Developing book manuscript, Youth Matters: Crafting Urban Space in Zambia. Karen Tranberg Hansen received the Conrad M. Arensberg Award from the Society for the Anthropology of Work in 1997. Her book, Salaula: The World of Secondhand Clothing and Zambia (University of Chicago Press 2000) received the Anthony Leeds Prize in Urban Anthropology in 2001, and the Society of Economic Anthropology Book Award in 2003. The co-edited book, Street Economies in the Urban Global South (SAR Press 2013) received the 2014 book prize from the Society for the Anthropology of Work. Professor Hansen’s extensive publication record includes several single-authored and co-edited books, book chapters, and journal articles. 1989 Distant Companions: Servants and Employers in Zambia, 1900-1985. Ithaca, NY: Cornell University Press. 1992 (editor). African Encounters with Domesticity. New Brunswick: Rutgers University Press. 1997 Keeping House in Lusaka. New York: Columbia University Press. 2000 Salaula: The World of Secondhand Clothing and Zambia. Chicago: University of Chicago Press. 2004 (co-editor with Mariken Vaa). Informality Reconsidered: Perspectives from Urban Africa. Uppsala: Nordic Africa Institute. 2008 (with A. L. Dalsgaard, K. V. Gough, U. A. Madsen, K. Valentin, and N. Wildermuth). Youth and the City in the Global South. Bloomington: Indiana University Press. 2013 (co-edited with W. E. Little and L. M Milgram). Street Economies in the Urban Global South. Santa Fe: SAR Press. 2013 (co-edited with D. S. Madison). African Dress: Fashion, Agency, Performance. London: Bloomsbury.